The MD8000 series of Media over IP Transport solutions is Media Links’ flagship solution for transporting 4K, 3G/HD/SD-SDI, and DVB-ASI over IP networks. The MD8000 solution offers broadcasters, telecoms, and network providers a cost-effective alternative to traditional video transport services. The MD8000 family addresses the need for broadcasters and carriers to connect directly to native IP networks for long-haul, multiple-wavelength transport links, which results in significant cost savings. The MD8000 suite of products is an adaptable, affordable and flexible solution for transporting uncompressed or compressed 4K, 3G, HD-SDI, SD-SDI and DVB-ASI video protocols. The MD8000 solutions readily adapt to a wide range of core network technologies, which make the MD8000 system the idea deal choice for current and future media networking needs of broadcasters, telecoms, and enterprises. The MD8000 system is scalable and modular, thus the configuration of the system is matched to the demands of a specific event, production, or content delivery requirement. 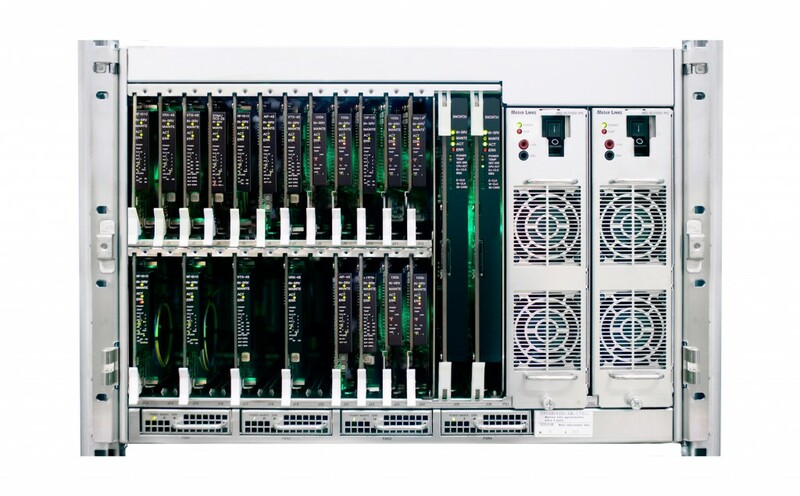 The MD8000 is a transport platform with offers guaranteed Quality of Service due to its robust redundancy with a hitless operation, low-latency, bi-directional operation, and ability to operate with a variety of compression schemes. Media Links is helping to bridge the gap between traditional broadcast and IP transport of content. Operating as a pioneer at the forefront of technological innovations and advancements, Media Links provides a standards-based product suite that enables the adoption of media signals to telecom standards. The MD8000 has evolved into a much sought after solution that supports the evolution of broadcast delivery and content over IP. It is being deployed by large-scale telecoms and broadcasters globally and has proven itself as an efficient, robust transport offering that can be deployed on a variety of network topologies that require high quality, pixel-perfect content delivery. Video and data interfaces include: DVB-ASI, SDI, HD-SDI, JPEG2000, E1 / T1, 10 / 100 / 1000 BaseT and Audio. Copper and fiber interfaces available on appropriate cards. Wide array of Trunk modules, ranging from 1GbE two trunk cards to 10Gb Ethernet LAN and WAN cards. Full array of SONET/SDH OC-3, OC-12, OC-48, and OC-192 Trunk cards also offered. Multi Vendor environments with standards based protocols.